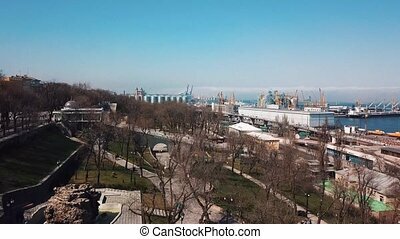 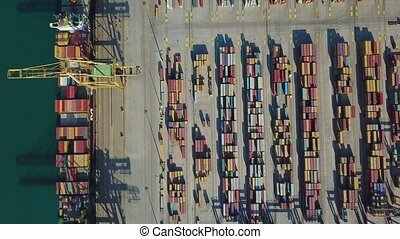 Aerial view of container ship anchored in the port summer. 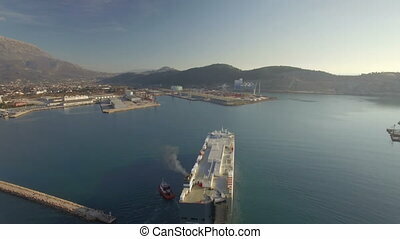 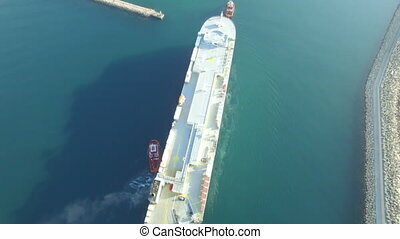 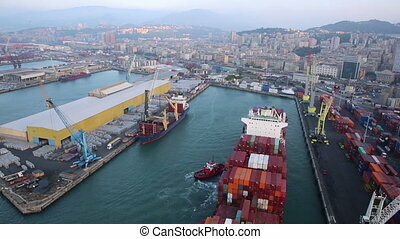 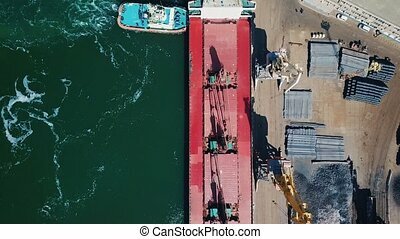 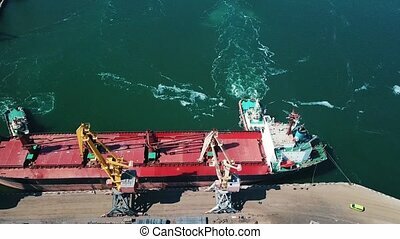 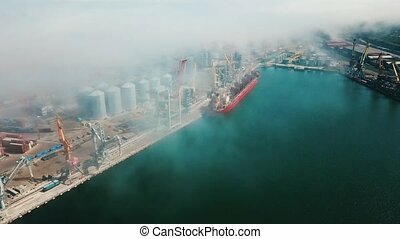 Aerial view of cargo ship entering the port in Bar city, Montenegro. 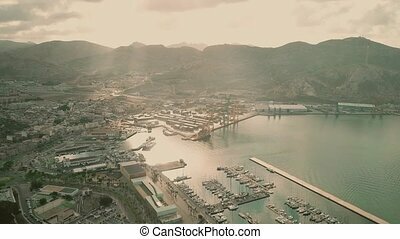 Aerial view of the commercial port of Valencia. 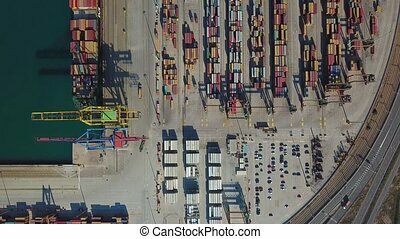 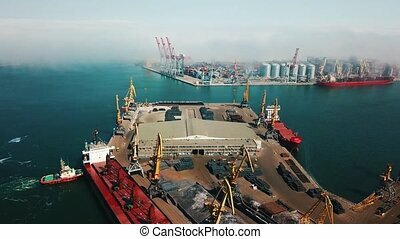 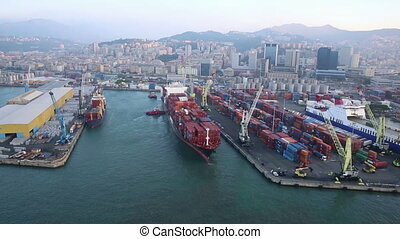 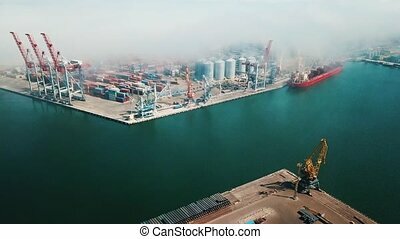 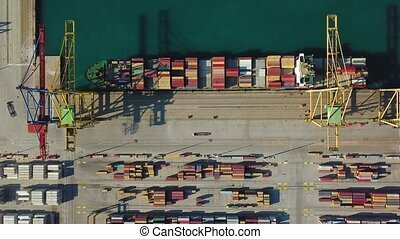 Container terminal and ship during loading. 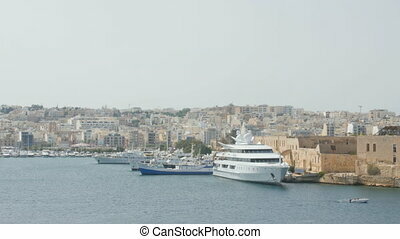 Aerial view of cruise ships in the Port of Valletta, Malta.